La Salle Prep senior Olivia Keepes has been named the Metro East area's princess on the Portland Rose Festival Court this year. Keepes was named during a March 5 ceremony in Portland. She was selected from four finalists, all of whom submitted biographies, participated in interviews and gave speeches. The Oak Grove resident taught herself how to play guitar and has played piano since the first grade. 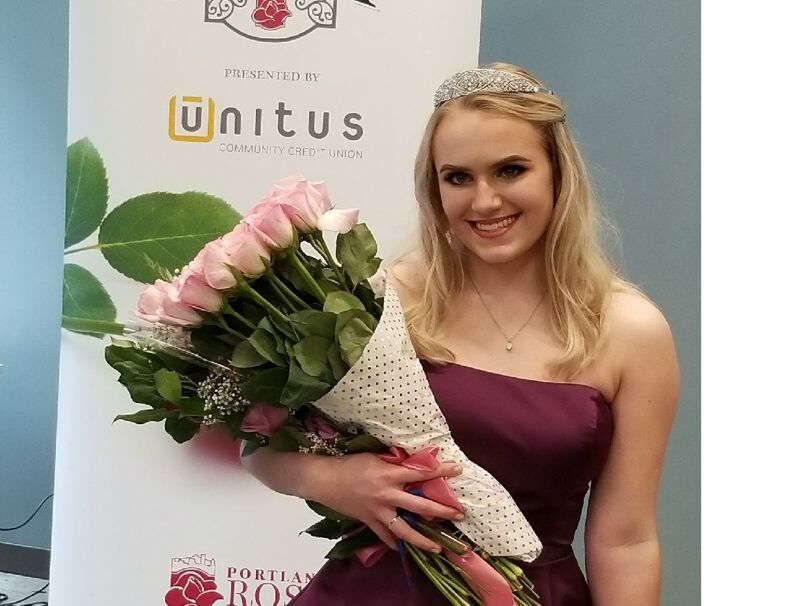 Keepes, who aspires to be a nurse specializing in the administration of anesthesia, is one of 15 Portland Metro-area high schoolers who will serve as Rose Festival princesses this year. As part of "the court" — as the princesses are collectively known — she will visit hospitals, businesses, senior centers, youth organizations and civic groups. She'll also appear in at least four parades — including the Grand Floral Parade and Starlight Parade — receive a $3,500 scholarship, and get paired with a mentor. As a princess, Keepes is in contention to be the festival's queen, who will be selected from among the princesses based on leadership, scholastic achievement, activities, civic involvement, volunteer work, communication skills and overall impression. The 2019 Portland Rose Festival Queen will be crowned just before the Grand Floral Walk at 9:15 a.m. Saturday, June 8, at Veterans Memorial Coliseum. "I'm really excited to grow, not just as an individual, but as a member of my community," Keepes said shortly after her crowning. "I'm excited about all the opportunities this program is providing me." While a student at La Salle, Keepes has traveled on several immersion trips, volunteered in the community, played club and high school volleyball, and earned high enough grades to merit membership in the National Honor Society. "After the immersion at L'Arche, I was asked to write a reflection on my experience," Keepes said. "My reflection was featured in La Salle's alumni magazine that is only distributed a few times a year. I feel so lucky to have been able to experience L'Arche and to have the opportunity to share it with others in my community." She is the first La Salle student to serve on the Rose Festival Court since schools outside of Portland again became eligible to apply for the court in 2009. "It is definitely a testament to the work La Salle does," she said of her selection. "There is so much that the community has taught me that I could never get anywhere else."